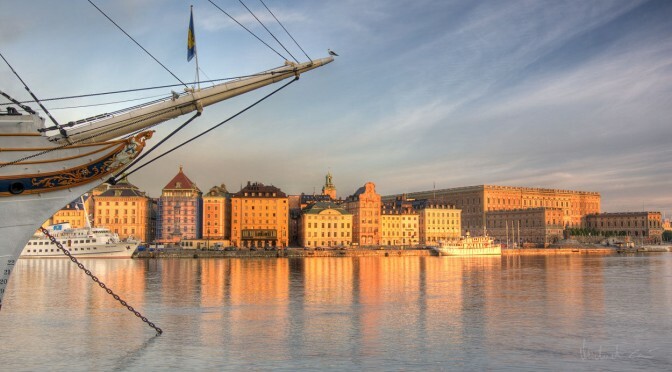 Welcome all curl hackers and fans to Stockholm 2018! We are hosting the curl up developers conference April 14-15 2018 in my home city in what now might really become an annual tradition. Remember Nuremberg 2017? curl up 2018 will be another two full days event over a weekend and we will make an effort to keep the attendance fee at a minimum. Presentations by core curl contributors on how things work, what we’ve done lately, what we’re working on how, what we should work on in the future and blue-sky visions about what curl should become when it grows up. Everyone attending are encouraged to present something. All this, mixed with lots of discussions, Q&As and socializing. This time, I hope you will also have the chance to arrive early and spend the Friday, or a part of it, working hands-on with other curl developers on actual programming/debugging curl features or bugs. The curl-hacking-Friday? While not firmly organized yet, I’d like to see this become reality. Let me know if that’s something you’d be interested to participate on. Anyone interested in curl, curl development or how to best use curl in application or solutions. Here’s your chance to learn a lot and an excellent opportunity to influence the future of curl. And to get some short glimpses of a spring-time Stockholm when going back and forth to the curl up venue! We will open up the “ticket booth” in January/February 2018, so just keep your eyes and ears open and you won’t miss it! The general idea is to keep the fee at a minimum, ideally zero. Currently the exact price depends on how we manage to cover the remaining costs with friendly sponsors. We are looking for sponsors. If your company is interested and willing to help us out, in any capacity, please contact me! Remember that our project has no funds of its own and we have no particular company backing. We will spend the curl up 2018 weekend at Goto 10, which is near both the Skanstull and Gullmarsplan subway stations. 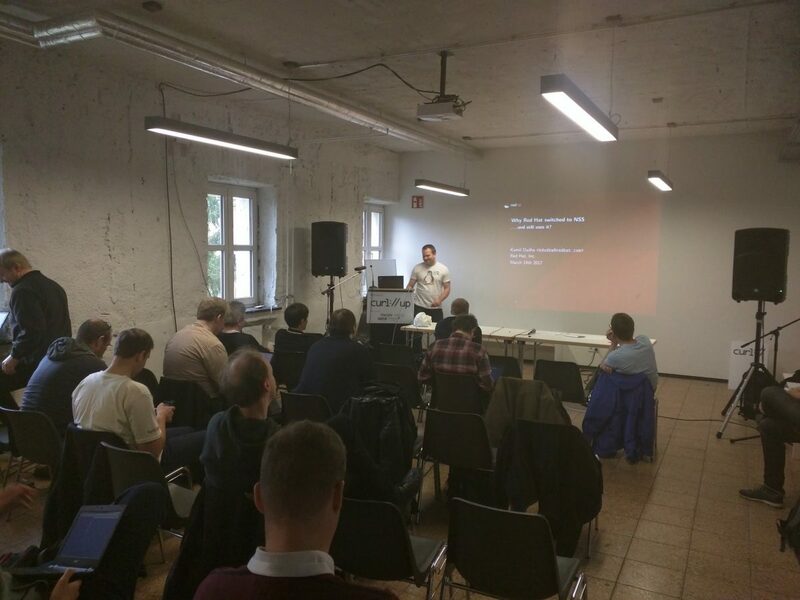 Action photo from curl up 2017 when Kamil Dudka spoke about Redhat’s use of curl built with NSS.